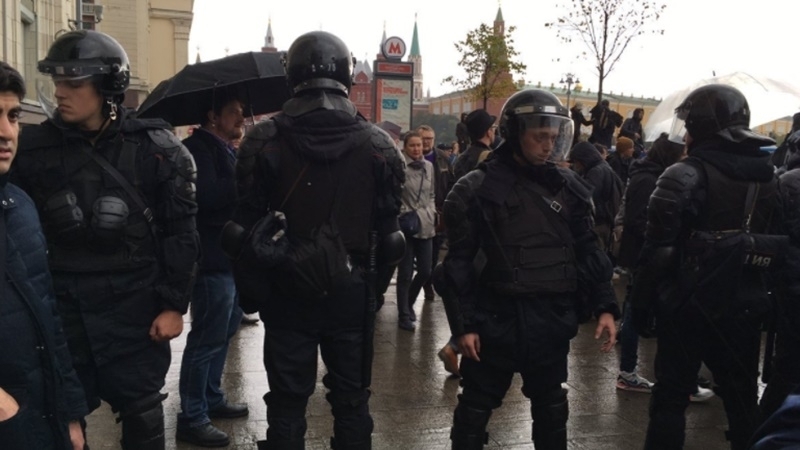 The police of the Russian Federation began to detain participants of rallies, which are held October 7 throughout the territory of the Russian Federation. People took to the streets to support the participation of the opposition leader Aleksei Navalny in RF presidential election. More than 5 people were detained in Samara, among them was an elderly woman. "An old lady was really detained in Samara. What a shame", one of Twitter users wrote. Activists gathered near the police station in Samara. "Came to the police station. We are surrounded again", one of the activists informed. Moreover, the protesters were detained in Yakutsk, Izhevsk and Saratov. The total number of the detained is more than 80 people. Earlier QHA reported that on October 7, supporters of the Russian oppositionist Aleksei Navalny began rallies in Russia.